Neil Mikkelsen releases a stone at the 2015 Suzanne Bertrand Junior Bonspiel Sunday. 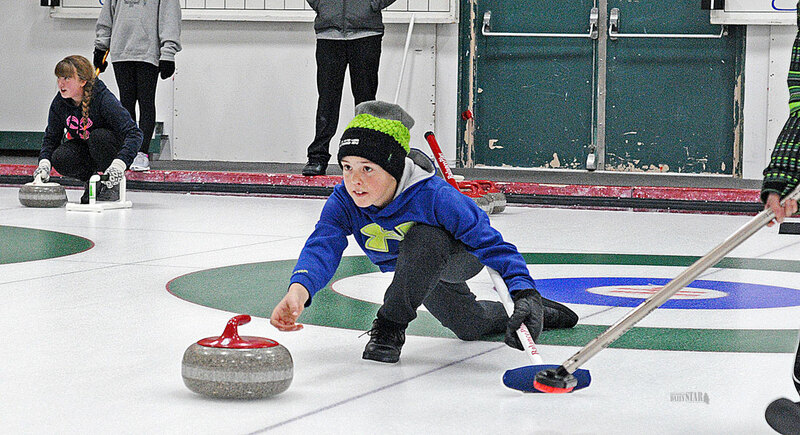 FUTURE STAR – Neil Mikkelsen releases a stone at the 2015 Suzanne Bertrand Junior Bonspiel Sunday. The Whitehorse Curling Club saw 32 young curlers participate in the event that featured full-ice games and fun off-ice events. The event is held in honour of Bertrand, a longtime Yukon volunteer and curling coach, who lost her battle with cancer in February 2010. She was 62.